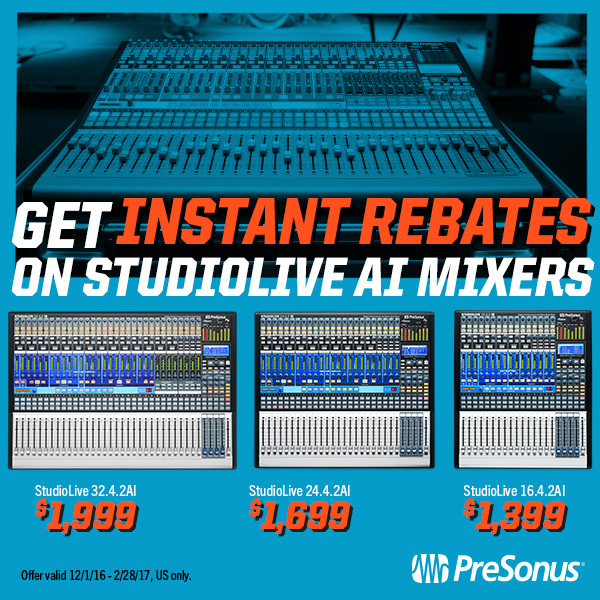 I use Studio One 3 Professional for mixing, production, and recording. The lay out and ease of use of Logic. Last year I had quite a few producers in my studio talking about Studio One and decided to investigate further. After taking some time to get to know the program, it became apparent that this was a program that has been thought out really well and ticks the box of being a one stop shop for mixing/production and writing. 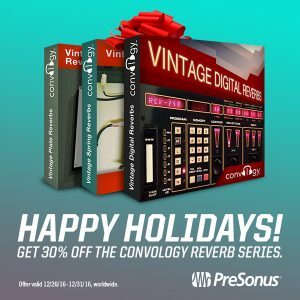 I have used it consistently for 5 months now and it has sped up my mixing and overall workflow. One of the best features is being able to set up a series of commands using Macros. It’s also very stable. The arranger track is very handy, as often when I am mixing a song, the label wants extended versions. The Arranger and also to try out different structures within the arrangement. 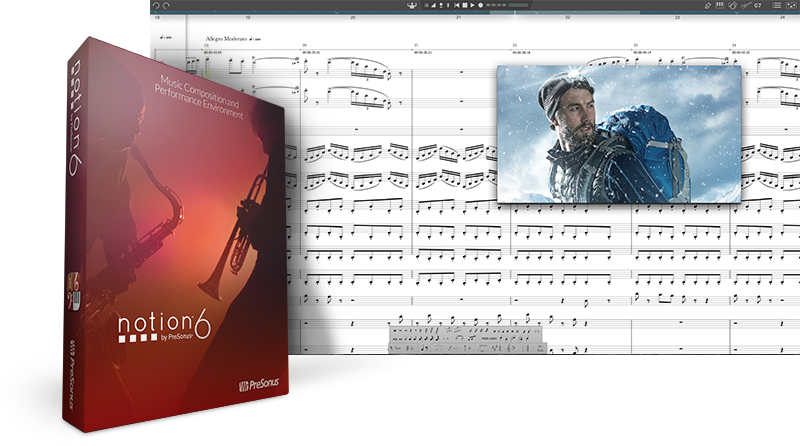 This is very easy to do using the arranger as it can copy any section with all the automation related to it. 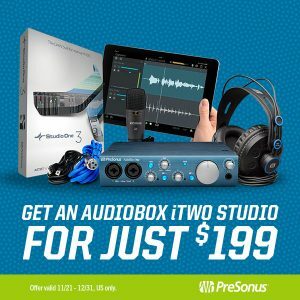 My tip is this: if you are trying Studio One out, stick with it. It’s always very difficult switching from a platform that you use day in day out for many years as everything is second nature. It takes a while to get back to this speed on a new platform but if you persevere it pays off ! 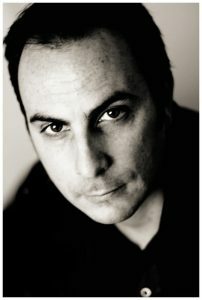 • Please give me some basic background info on your career and current projects, credits, and so on. I am really excited about the future of Studio One and have been really encouraged by a development team that actually take on board feedback from mixers and producers and often implement ideas if they are good. This was a big frustration with other DAWs, as feedback was not listened to or acted on. The latest addition to the StudioLive Series III Family: Meet StudioLive 16. The above pricing is effective in the USA only. Pricing outside the US will vary by dealer and region. If you’ve been considering a digital mixer but haven’t checked in on StudioLive AI for a while, it’s worth mentioning that the entire StudioLive line won the Musical Merchandise Review (MMR) Dealer Choice Award for Recording Equipment Line of the Year for 2015. Furthermore, recent firmware updates now allow the StudioLive AI Console Mixers to connect to StudioLive RM- and RML-series rack mixers in Stage Box Mode. And of course, StudioLive AI still offers the always-improving remote iPad control options that helped make them such a hit. All StudioLive mixers also include Studio One 3 Artist, our award-winning digital audio workstation. But hey, don’t take it from us. Here’s what some StudioLive AI reviewers had to say. Click any of the quotes below to read the full review. Save on the DP88 – Expand your I/O! Need some more inputs in your studio? Check out the DP88, which is currently enjoying a reduced price. The exact amount will vary by location, but customers in the US will receive $100 off at the register. 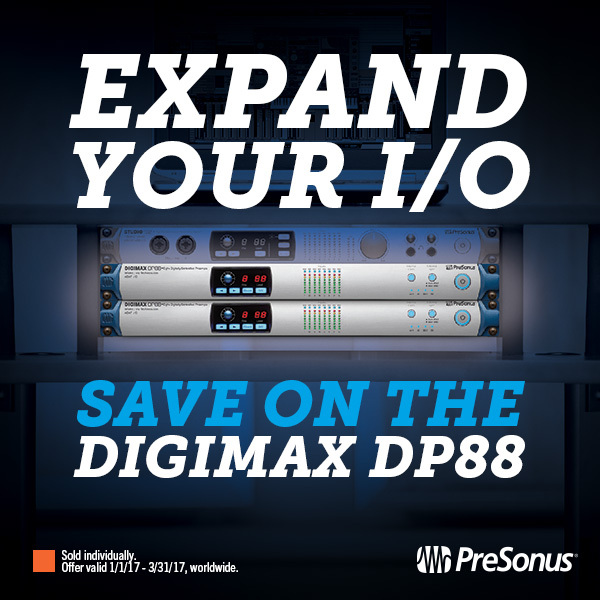 The DigiMax DP88 is the latest innovation in the DigiMax line, offering digitally controlled analog preamps, unparalleled connectivity, flexibility, and professional sound quality to make it a perfect fit in any studio environment. Notion has been updated to version 6.1! Check out the full changelog below. 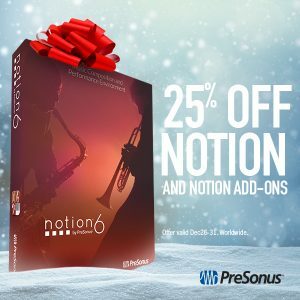 This is a free update to all Notion 6 owners. To get it, just launch Notion. It will check for updates and download automatically. Clicking the metronome button in the toolbar now brings up a menu letting the user choose to turn on or off the metronome in either playback or record. 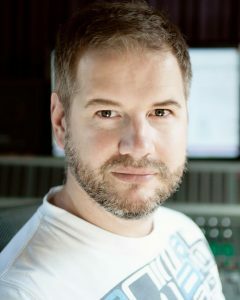 Ryan Louder on Studio One 3… and Five Studio 192s. I have two studios with identical setups: 2 Studio 192s and Studio One 3 in both. I also have a Studio 192 Mobile and laptop when out of the studio which works great. • For what applications are you using Studio One? Recording, songwriting, production, mixing—everything I need to write and produce high-end productions for high level artists is in Studio One. I’m blown away by Studio One, and it has served me well in very high-pressure situations. The usability and reliability! The people deciding what goes where know what they’re doing, where other DAWs seem to have no clue of a producer’s needs. For example, one DAW manufacturer keeps going on about “The Cloud,” which no one wants or needs… and they keep going on as if it’s something significant while there rubbish software crashes several times a day. Studio One is the polar opposite and the reliability is incredible. I can drag and drop preset instruments—so quick! • How does Studio One compare to other DAWs you have used? No comparison. They’re a 100 years behind Studio One. My biggest tip is “Do not believe anything other than your ears.” Do blind tests on comparing quality—for example, I chose the Studio 192 converters clocked to my Black Lion audio clock over audio gear that cost five times as much. I chose the Studio 192 six times out eight of blind tests. Do blind tests on everything from plug-ins to hardware. You’ll save yourself money big time. Comments Off on Ryan Louder on Studio One 3… and Five Studio 192s. Comments Off on The FaderPort 8 is here!